I learnt this from my friend Shalini…I tried last week and it came out very well.It was crispy , tasty and we liked it very much..I’ve gone through so many varieties of tomato dosa on net.Here comes my version.. Grind the tomato,red chilly,hing along with salt to make a puree. Then add the rice and grind it like a dosa batter.. The batter should be loose and slightly watery..So add the water accordingly..
Heat a kadai with oil and temper with mustard seeds and curry leaves. Add to the batter and mix well.Check for salt..
Now heat a dosa tawa greased with oil and pour the batter in a circular manner from outwards to inwards..
Pour little oil around the dosa if desired.. Grind all the items given under to grind to make a smooth paste and temper it.. But theres difference like no onion,redchilli...but look at the colour so attractive...:) Nice pics! Whoa, Lovely colur to your dosa Chitra.I made tomato dosa using Ragi flour, Will be posting soon.Meantime I'll note this down too and try it out. Dosa has come out very well. 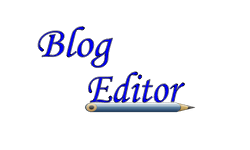 I too had tried from my namesake's blog. Ihad heard a lot of tomato dosa...hadn't tried it though ... looking at the snap here I think I'll make it for tomorrow's breakfast, coconut chutney and the dosa make a good combo. Thats a yummy colorful dosa especially to prepare for kids..has come put perfect..!! Double delicious dosa and chutney. Nice clicks. Dosa has come out very well....i've never tried making such ones....shud try now. wow! lovely ,,Nice color ..awesome pics ..hey nice combo aswell ..Lovely will try this soon ! Beautiful colour - tomato dosa and coconut chutney is a combination my mom always whips up. I've posted a recipe too which is slightly different from this... Must try with the tempering like in your method. Colourful dosa,will try this soon! Love that color on that dosa...It looks very inviting. Never tried it before ..will try it soon. Tomato dosa with that coconut chutney reminds me of some restaurants. Lovely recipe and nice photo. What a coincidence! 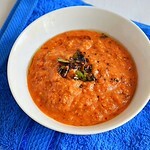 !I posted tomato dosa only a few days b4 in my blog :)Urs look lovely and yumm!! 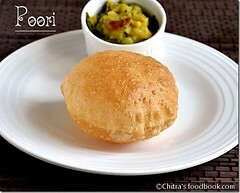 Chitra I too make same with slight variation.. 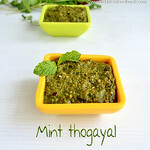 I have posted it just take a look when u find time and this is my fav too..
ideal for rotis,dosa and even rice. Wow looks so yummy! Great colour! 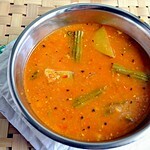 just wanted to thanks u for a wonderful recipe of tomato dosa :) it made my day!!! 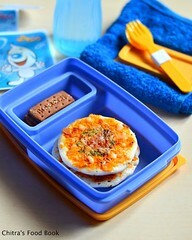 my hubby also loved it :) I'll treasure this recipe. 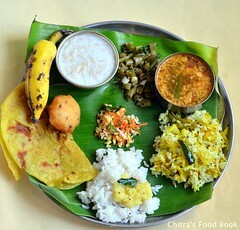 Hi Chitra, dosa looks gorgeous. Nice click, love to try. 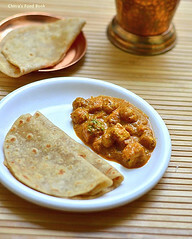 Tomato dosa looks so delicious, loved the color! This is so gud...never tried tomato dosa....nice colour..
Tomato dosa with the coconut chutney looks real inviting. And Thakkali thokku too. thokku and tomato dosa both look fab! I love the pinkish tinge to the dosa and the coconut chutney sounds wonderful. Thank you for the additional information about tomatoes - I particularly like the one about mixing sugar and cloves in tomato juice to cure 'avarice'! Thank u so much Divya for ur feedback. I am so glad u like it.. For this dosa , I used Good quality raw rice which we use for making pongal Or Dosa rice would do..But i have not used idli rice or maavu arisi.. 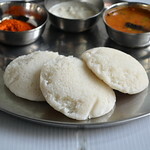 I think if u use idli rice or maavu arisi , the dosa may be little hard and looks dry. 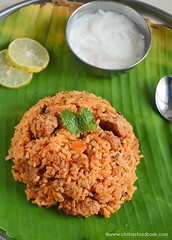 Please try with goood quality raw rice for the above result..Please leave ur feedback if u try :) Thanks .